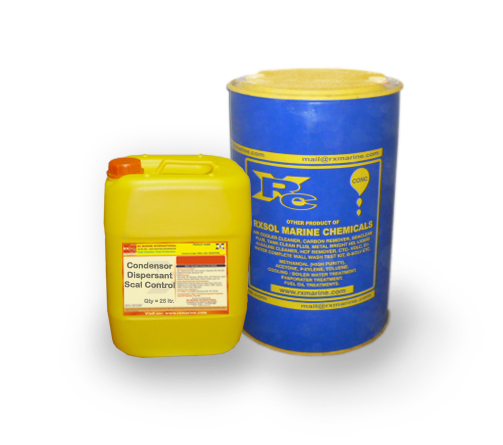 Descaling Chemical viscous Compound Suitable for Descaling of Copper tube of Chillers and Condenser of Air Conditioning Plant. Advanced formulation and Non Corrosive to material Non Polluting and Effective to remove Scale deposited inside Copper tubes. This Compound is Safe to handle also. 5, 20, 25, 60 Heavy duty HMHDPE carboy. Factory sale for our regular customer on heavy discounted scheme available. 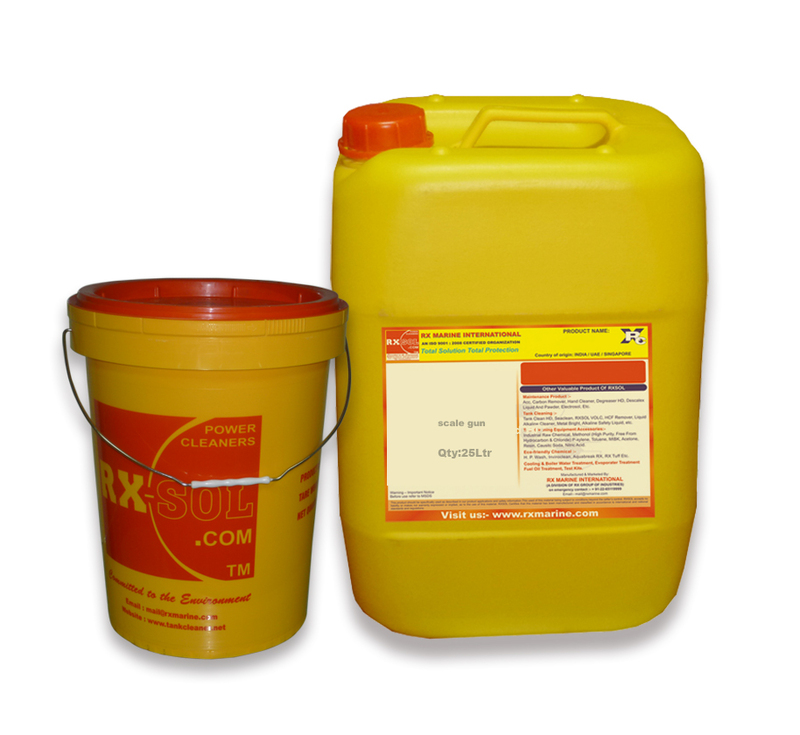 RXSOL- 41-8865-025 should alway be used in plastic bucket. 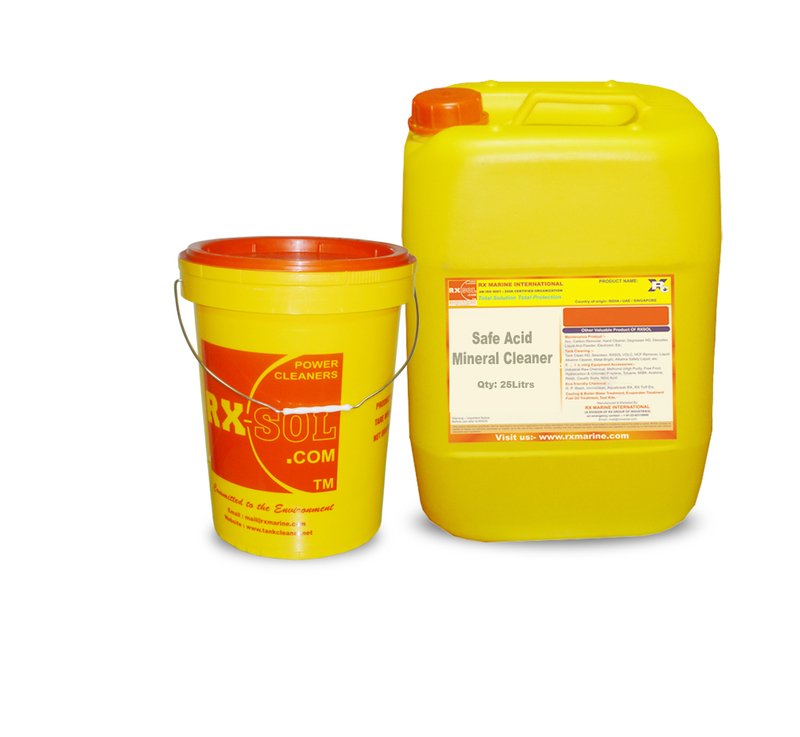 RXSOL-41-8865-025 should always be added in , never add water in RXSOL-41-8865-025. RXSOL-41-8865-025 is often the automatic choice to do away with the scales from coils, cables, cooling jackets, heat exchangers or linings in steel plants. Fast and effective scale remover. 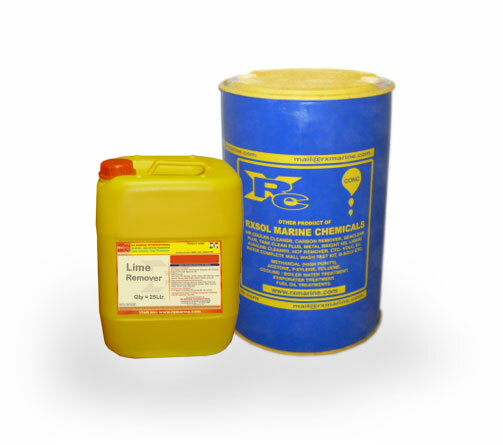 Removes scale and rust from condensers, evaporators, heat exchangers,Rediator etc. Removes water scale from boilers. 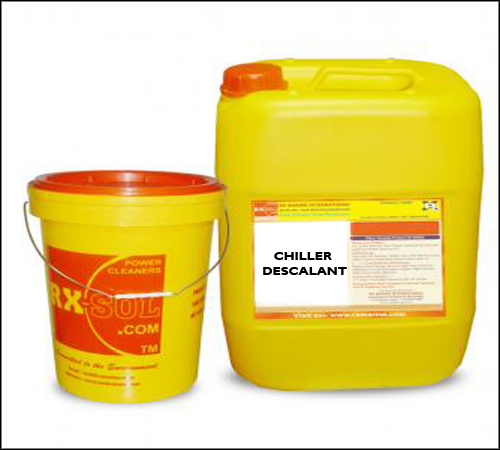 RXSOL-41-8865-025 dilute with fresh water as 5-30%, solution depending on scale.Make a circulation system so as to allow the solution to enter through the lowest point and leave through the highest point of the equipment, which is to be descaled. Fill up the whole system with the solution and circulate through a centrifugal pump. At the initial stages, pH of the solution is generally at 2 to 3 there is increase in the pH of the solution, during reaction.The increase in the pH of the solution during circulation reflects on going reaction. Add more quantity of RXSOL-41-8865-025 and continue circulation, in case of the pH level being 4.5 to 5. If circulation of system shows constant pH 2 to 3 after time confirms the completion of the process of descaling. The process of descaling is checked by a periodical pH testing of the solution. 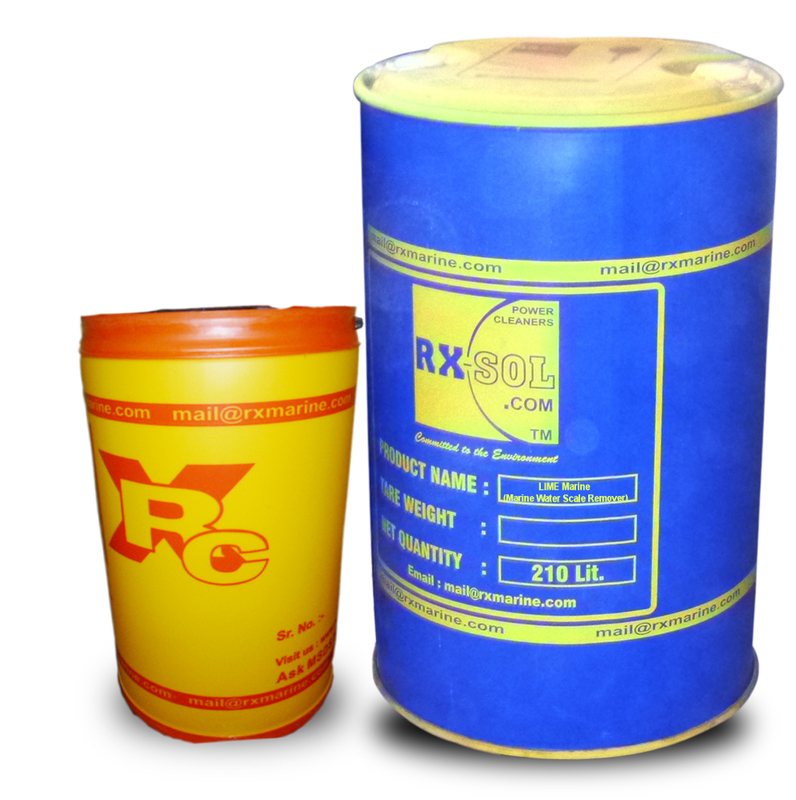 For silica scales and very hard scales, power and liquid forms of RXSOL-41-8865-025 is recommended. 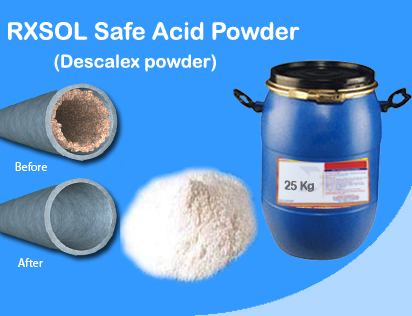 For the prevention of further scaling in melting industry, RXSOL-41-8865-025 is recommended. 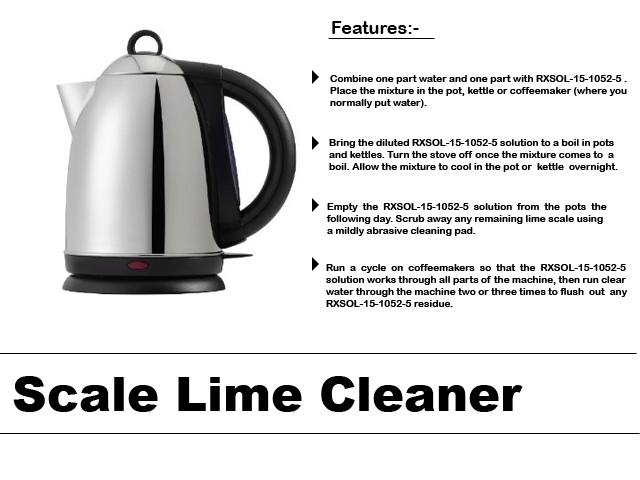 NOTE : After using RXSOL-16-1008-060 ( After completion of descaling ) rinse all equipment and metal surfaces at least one time with a 0.5% solution of RXSOL-20-2059-025 in fresh water. This solution should be circulated for 2-4 hours or until pH value comes 6-7. This will neutralize any remaining acid and passivate steel surfaces.